*** I talked to Regina Longo last October, as ACP was getting ready for the World Premiere of Nëntori i Dytë in Albania to celebrate the country's 100th Year Independence. You can read that interview here. Be part of the first American audiences to watch Nëntori i Dytë and to hear firsthand accounts of film production in Albania from the communist era till today from the country's award-winning director Fatmir Koci (Tirana Year Zero (2001), The Land of Eagles (2007), Time of the Comet (2008), Albanian American producer Donika Bardha (The Land of Eagles) and Albanian American filmmaker and ACP board member Thomas Logoreci. Director Fatmir Koci's The Land of Eagles is a sweeping archival chronicle of Albania's turbulent 20th century history. Working with producer Donika Bardha, Koci combed Albania's endangered Central State Film Archive to produce this compelling documentary filled with historical footage never before seen by Western audiences. The brilliant voice-over narration spoken by Michael York was written by Albania's Nobel nominated, Man Booker International Prize-winning novelist Ismail Kadare. The Land of Eagles is an extraordinary glimpse into the Balkan nation’s 100-year history of statehood and 100-year history of cinema. San Francisco, CA March 8, 2012 | Press Release in English. The Albanian Cinema Project (ACP), Colorlab Corp. and NYU present the first digital restoration and English language subtitled adaptation of renowned Albanian filmmaker Viktor Gjika’s 1982 feature film Nëntori i dytë (The Second November). Nëntori i dytë recounts the story of the events leading up to Albania’s independence from Ottoman rule on November 28, 1912. On March 27, 2013, Nëntori i dytë will have its US premiere for a select audience at NYU’s Michelson Theater, followed by a New England premiere at Wesleyan University on March 28, 2013, and a special public screening in New York on March 29, 2013. This is the first ever English language adaptation of the film, and the first film restoration collaboration between The Albanian Cinema Project, the Arkivi Qendror Shteteror I Filmit (Albanian Central State Film Archives) and Colorlab Corp.
Nëntori i dytë (The Second November) was written by the socialist realist author Dhimiter Shuteriqi (along with Kiço Blushi) and directed by Viktor Gjika. Made three years before the death of the country’s dictator, Enver Hoxha, the film premiered in late November 1982, less than a year after the mysterious demise of Mehmet Shehu, Hoxha’s heir apparent. During the production of the film Albania entered one of its darkest periods in its fifty years of Marxist rule. Numerous purges and arrests of government officials and their families became the order of the day. On November 3, 2012, Nëntori i dytë opened the “13th Festival of Albanian Film in the 100th Independence Year” at the Millenium Cinema in Tirana, Albania. This marked the world’s first restoration of an Albanian film and an international co-operation between filmmakers, film labs, archives, academics and activists to help preserve a film heritage that is in grave danger. Nëntori i dytë has never screened outside of Albania and this restoration marks the first ever English language adaptation of the film. 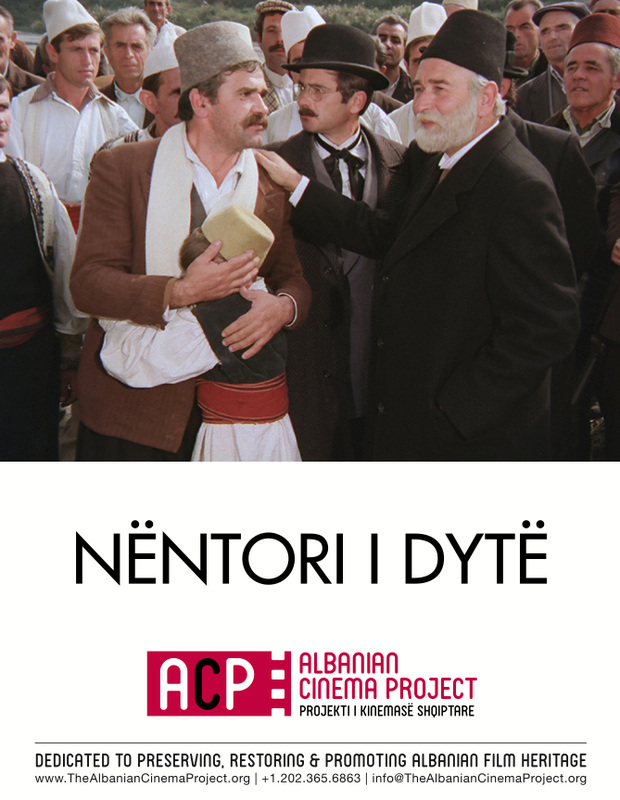 Nëntori i dytë is the first of five films that ACP will preserve over five years. Albania’s film archives hold unique insights into one of Europe’s most complex countries. ACP believes the time is now to bring Albania’s film heritage to the world. As in the rest of the Balkans, Albania’s post-WWII narrative is of a communist partisan struggle against foreign occupation and, ultimately, of a communist takeover. Yet, Albania's story is unique among Eastern European countries. Dictator Enver Hoxha’s schism first with Yugoslavia and later with the Soviet Union led him to proclaim that the Albanian version of Marxist-Leninism was the only true path to communism. Practicing a strenuous form of Stalinism for nearly 50 years, Albania denounced most Eastern European socialist countries as revisionists, and maintained a strict observance of Hoxha’s own brand of socialist realism. Albanian communists determined that the self-isolation of their country was the only way to implement their puritan brand of state socialism. As a result, foreign influence on Albanian cinema was limited to minute cracks in the thick curtain that separated Albania from the rest of the world. Television broadcasts from neighboring countries (especially from Italy), or rare personal journeys of foreign film professionals to the country were the only moments of rupture. The almost complete reliance on socialist realism in filmmaking during communism has caused many Albanians to reject their own cinematic history. More than twenty years have passed since the fall of Hoxha’s regime, yet there is still much resistance to a re-examination of Albania’s state sponsored film productions. For this reason, many have languished in inadequate vaults and are now in danger of being lost forever. While Albania leaps into the 21st century, the Albanian Central State Film Archives remain shrouded in darkness. The Albanian Cinema Project is working overtime to bring Albania’s rich cinema history back into the light. The Albanian Cinema Project’s ultimate goal is to build a new archives and exhibition space in Tirana, Albania. To achieve this, we have partnered with film preservation laboratories and film festivals throughout the world to preserve 5 Albanian films in 5 years. Each title will screen first at film festivals, with ACP’s partnering institutions and then to the larger public. Room 674 NYU Tisch School of the Arts, 721 Broadway, Dept of Cinema Studies. For further information, DVD screeners and interviews with directors, archivists and members of the Albanian Cinema Project, contact Regina Longo of the ACP at (202) 365-6863 or regmlongo2@gmail.com.